You can hire bikes in the Lot with Bike Hire Direct! BikeHire Direct make it easy for you to rent bikes in the Lot - there is no need to have the extra hassle of transporting your own bikes... let us know where you are staying and we will deliver bikes directly to your holiday accommodation ready for you to enjoy on your holiday! For more information visit the 'Contact Us' page to find out about hiring bikes with BikeHire Direct! 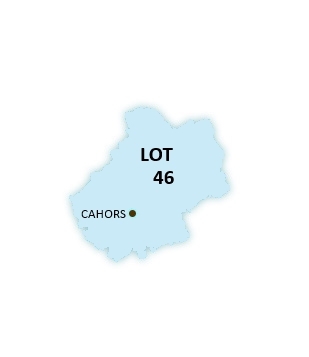 The Lot is part of the Languedoc-Roussillon-Midi-Pyrenees region and is a land of rugged unspoilt landscapes, with its wooded valleys and gorges contrasting with the Cahors vineyards. We are currently researching cycle routes in the Lot region. In the meantime if you have any queries regarding your cycling needs in the Lot, please contact us.